These PVC edged bedroom doors and drawer fronts are available in custom sizes to fit any bedroom. 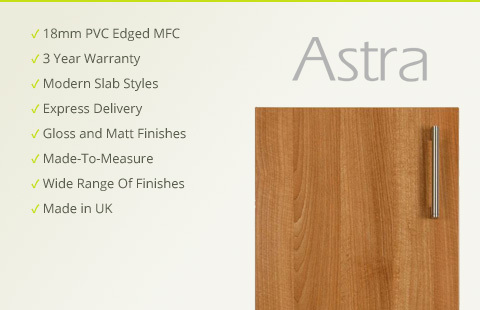 They are made from 18mm MFC with a 2mm PVC edge. A set of PVC edged replacement bedroom cupboard doors can make sense if you’re looking to refurbish your bedroom units doors at a very reasonable cost. Add some cabinet handles and some matching bedroom accessories to finish off that DIY bedroom renovation. We can drill the hinge holes in the same locations as your old bedroom cabinet doors so there’s less hassle to change your PVC edged doors making it a very simple job. Browse our complete range of bespoke wardrobe doors today.